Well-positioned in Gili Trawangan, Kelapa Luxury Villas is the ideal point of departure for your excursions in Lombok. The hotel is not too far from the city center: just 1.5 km away, and it normally takes about 120 minutes to reach the airport. For sightseeing options and local attractions, one need not look far as the hotel enjoys close proximity to Gili Islands, Gili Air, Gili Trawangan. 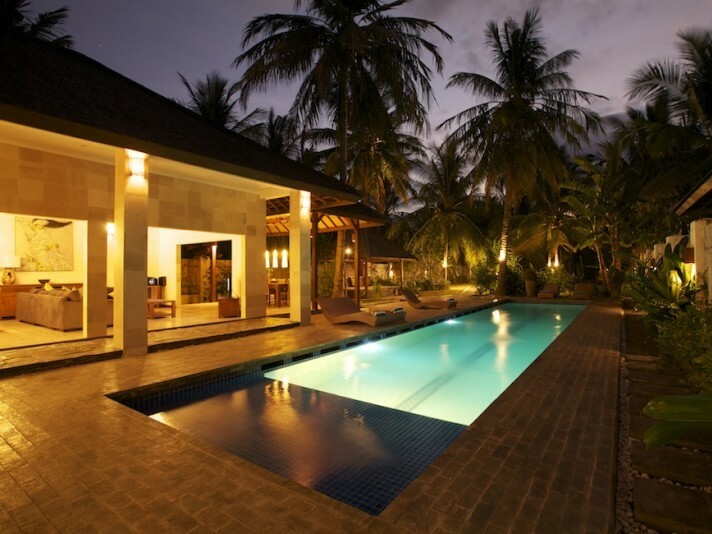 Kelapa Luxury Villas offers impeccable service and all the essential amenities to invigorate travelers. This hotel offers numerous on-site facilities to satisfy even the most discerning guest. Experience high quality room facilities, including fan, DVD/CD player, desk, satellite/cable TV, shower, to help you recharge after a long day. Whether you're a fitness enthusiast or are just looking for a way to unwind after a hard day, you will be entertained by top-class recreational facilities such as massage, tennis courts, water sports (non-motorized), garden. Kelapa Luxury Villas is a smart choice for travelers to Lombok, offering a relaxed and hassle-free stay every time.